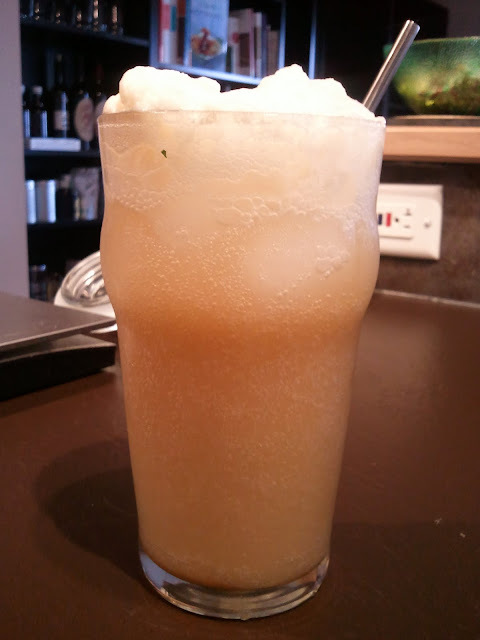 A few weeks ago few months ago, I posted my experiment with the butterbeer recipe. This time, I'm gonna follow it up with further experimentation with different amounts of syrup dosage and different brands of cream soda. I started with halving the amount of syrup the original recipe called for, from 60g to 30g. The sweetness drastically improved - from obviously teeth rotting to ninja teeth rotting (to be honest, this is a sugary drink). 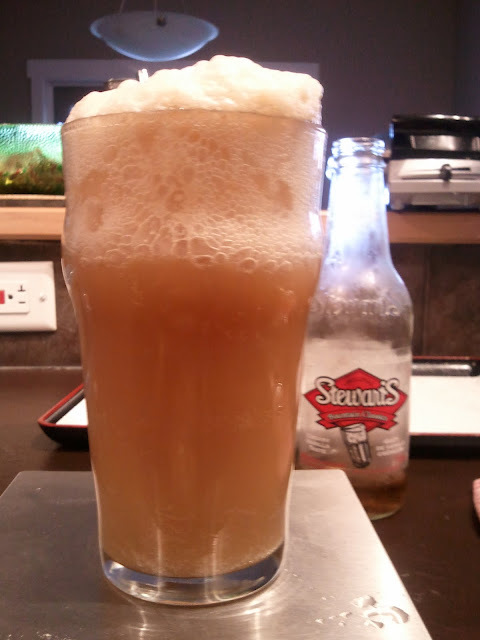 So, I kept the syrup level there since it is a nice balance between the butterbeer flavour and the cream soda flavour. I stayed the hell away from any pink cream sodas as that is guaranteed to be atomically teeth rotting. Also, the fact that pink cream sodas taste funny to me, maybe because I see that it's pink and NOTHING SHOULD BE NATURALLY NEON PINK!!! On the sweet side. The first try I also put on the whipped topping, which just put the greasiness and sweetness over the edge. The following attempt I did it without the whipped topping and halved the syrup dosage and it's still rather sweet and uber creamy. Schwepp's cream soda in general, by itself, is adequately sweet and silky. So, if you put in an extra gob of syrup in there, it's gonna be bloody sweet. Mr. Meow: "It tastes like cotton candy"
Again, this was done with half the syrup and no whipped topping. I'm beginning to dislike that whipped topping. 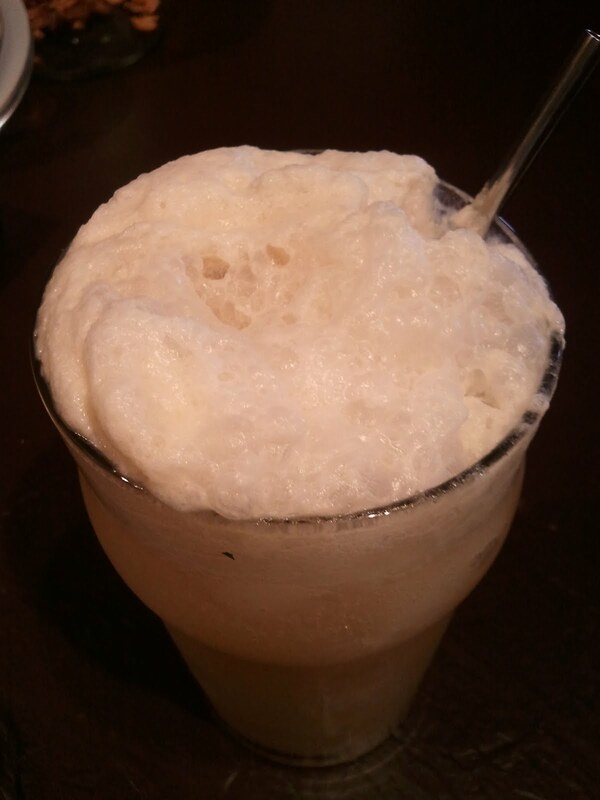 It foams up like crazy, but it stayed fizzy the longest. Still sweet. But that sweetness is less than Schwepp's or Jones. It foamed up like crazy. 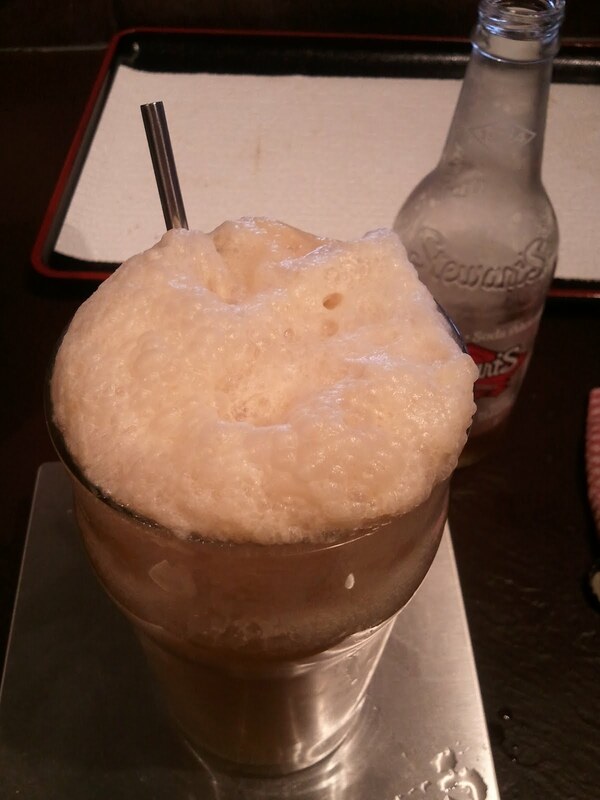 I even poured it without ice and only added ice half way through, it still bubbled up! The least sweet by far, its lack of sweetness makes the drink rather pleasant. Mind you, Boyland's beverages are all sweetened with cane sugar - the good stuff, not bloody HFCS (high fructose corn syrup). Meow prefers Boyland cream soda for her butterbeer. But Boyland is hard to come by, only sold at Sobey's as far as I can tell.